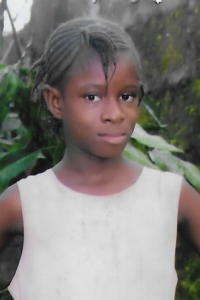 Zainab was born in Makeni-Buya village. She attends school and is in class 3. Both her parents are mentally ill and unable to care for her. She is now staying with her aunt, Manastu, a married women who makes her living as a petty trader and struggles to provide for her. Zainab needs sponsorship to help provide for her physical, educational, and spiritual needs.